The app is sort of a time assistants. You put in your schedule, whatever that may be. School meetings, work, etc. 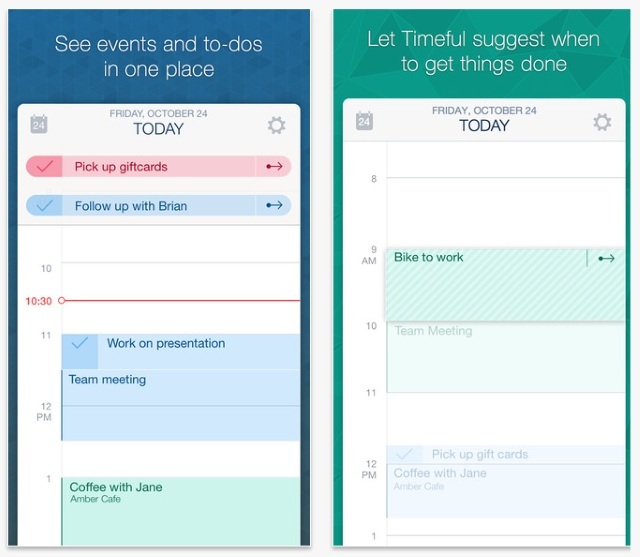 The app displays your calendar and to-do list. You drop your to-dos into the calendar’s empty spots, turning them from errends into planned time. From that point it gets a little bit more intense. You also create to do lists and schedule things in advance. As you schedule things and complete them, it teaches the app when you like to do certain types of activities and makes suggestions as to when the best time to complete them will be. If you can’t get to something that day, you can push it to an empty slot in the next day making sure that nothing is forgotten and no time is wasted. Timeful is a free app and unfortunately only available through the App Store.